« Grace Mercer needs your help! 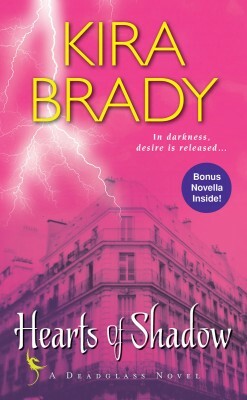 I’m giving away 10 copies of Hearts of Shadow in the hopes of generating more reviews on Amazon and Goodreads. Book 2 in the Deadglass Trilogy has been out for a few weeks, and lovely reviews are starting to trickle in. I’d like to get to 50 Amazon reviews, because I hear this is some sort of magic number. I’m planning to give away a prize pack when I do. DEADGLASS GOODIES! FREE BOOKS! CHOCOLATE! Please help me make it to 50. Have you read Hearts of Shadow? Please consider reviewing it! Good, bad, indifferent…long, short, whatever. All buzz is good buzz in the name of publicity, or something like that. Want to read it? Here’s your chance to get a free book! To Enter: Just comment on this post. One entry per person, USA and Canada only. Last Date to Enter: Sunday, June 9th, at 11:59:59 PM Pacific time. Winners will be announced on this blog on June 10th and notified by e-mail. TEN entrants from the comments will be chosen at random. Official Rules: Comment by 11:59:59 PM Pacific time on June 9th, 2013 for your chance to win. Ten winners will be selected randomly using a WordPress giveaway plugin, and their names posted on this blog the following day. Winners must provide Kira with their mailing address by June 16th, 2013 or the prize will be forfeit. Only one entry per ISP address. The contest is open to US and Canadian readers. No purchase necessary to enter. Odds of winning depend on number of entries received. Void where prohibited. Available now in Mass Market Paperback, ebook, and audiobook! This entry was posted on Tuesday, May 28th, 2013 at 3:00 am in Contests, Hearts of Shadow, The Deadglass Trilogy. Tagged: book giveaway, Deadglass Trilogy, dragon shifters, Hearts of Shadow, Kira Brady, paranormal romance, reviews, shape shifters, urban fantasy romance. You can feed this entry. Both comments and pings are currently closed. I’ve not read many books with this type of theme but this one sounds interesting. I think I might enjoy this one. I’ve heard amazing things about your books but it’s just sitting on my TBR list at this time. Sounds interesting. Can’t wait to read! 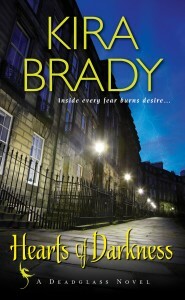 I read Hearts of Fire and really enjoyed it. Hearts of Darkness is currently in my TBR pile but I haven’t had a chance to read it yet. 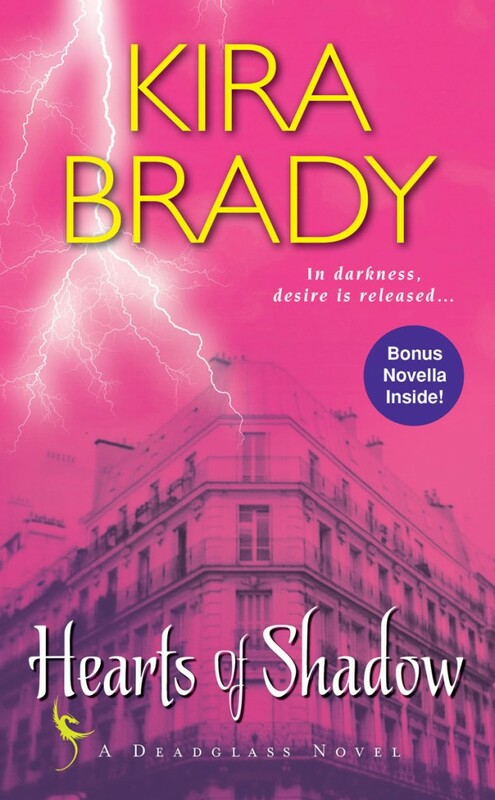 Thank you for the opportunity to win a copy of Hearts of Shadow. Out of curiosity, will you be signing the books? I would love to read Hearts of Shadow and post a review for you. I haven’t had a chance to get this one yet. I loved the 1st one. Hi, I would love to have a chance to read the book! Thanks for doing this giveaway! You are a new author to me. I’d love to read Hearts of Shadow and post a review for you! Thanks for the chance to win! 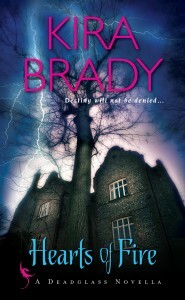 I love trying new authors and I have just started reading more paranormal romance. I really love the sound of this series but I haven’t yet read Hearts of Darkness. Definitely just added it to my TBR though! Ok, how did I miss this book? It sounds great! Thanks for hosting such an awesome giveaway! The reviews for it sound really great. Thank you for the giveaway.I haven’t read any of your books YET,but this looks good. I will check them out!! I havent read the series yet but it sounds good. reccommended by your editor I shall give it a go. This like a really interesting series, I love shifters, strong women that won’t let a man walk all over her, and dragons are definitely a favorite ofmine. I would love to read and review this new book for you. This series sounds fantastic, especially Hearts of Shadow. I love stories featuring dragon shifters, so I’m looking forward to reading it.